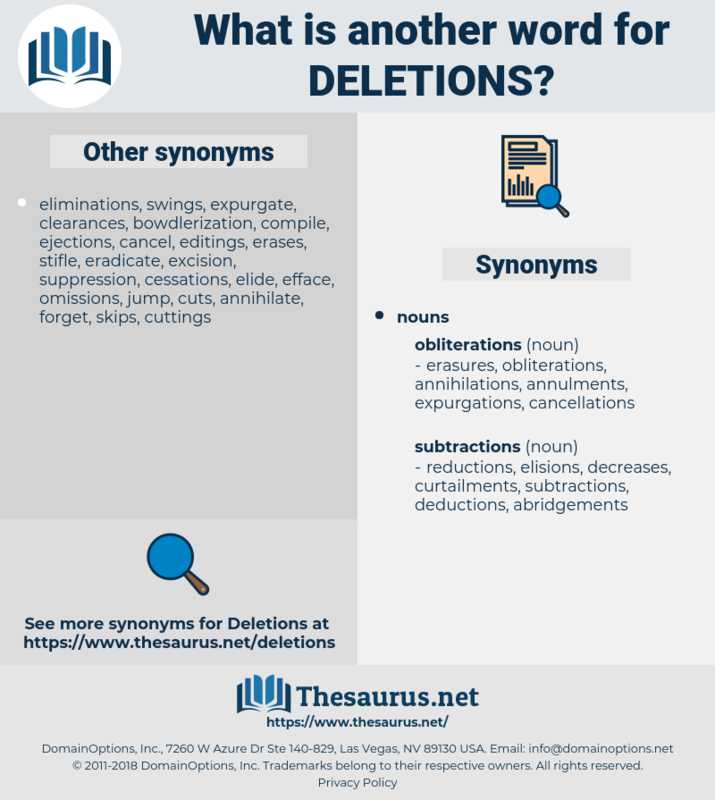 What is another word for deletions? abolition, delete, Deleted, elimination, eliminations. abolitions, Deleting, delete, Deleted, elimination, eliminations. 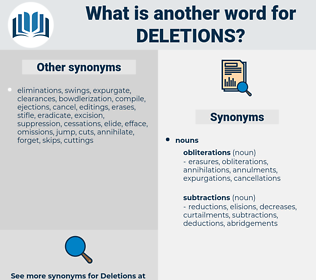 derogations, invalidations, exclusions, Depressions, disposition, dispositions, de-listings, reductions, exceptions, declines, Deficiencies, withdrawals, exemptions, Radiations, points, annulments, retirements, withdrawn, Lowlands, closures, stripping, decreases, losses, exits, phase-outs, disposals, Causalities, Fatalities, opt-outs, shortfalls, suppressants, downturns, OUTS, Recalls, retreats, Ones, bans, waivers, rrsps, falls, setbacks, Casualties, repayments, LOWS, drawings, Downs, draws, Parties, runs, cuts.